A little piece of Italy straight home to your kitchen! Order a complete cooker package at a discounted price! 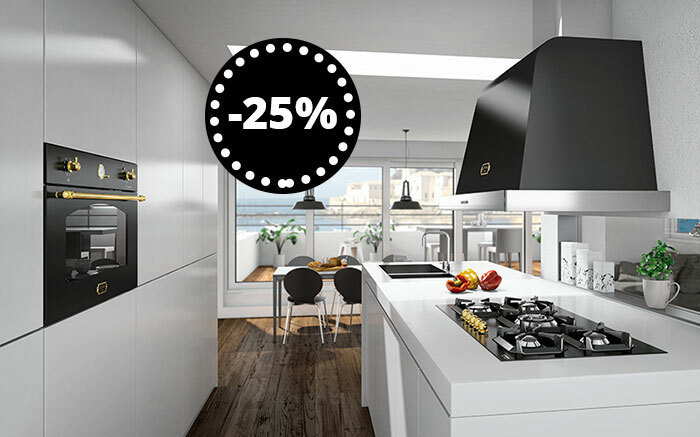 The cooker package includes gas hob, oven, and extractor hood from Lofra’s Premium Collection - Dolce Vita. Colour: Black with brass detailing. • Handle and knob with exclusive brass finish as standard. Bronze finish and silver finish are available on special order.